For more than 15 million years, it lay waiting in the layers of rock near Clarkia, Idaho, its chubby cheeks, small arms and preserved teeth waiting for students from North Idaho College to find it: an ancient squirrel. 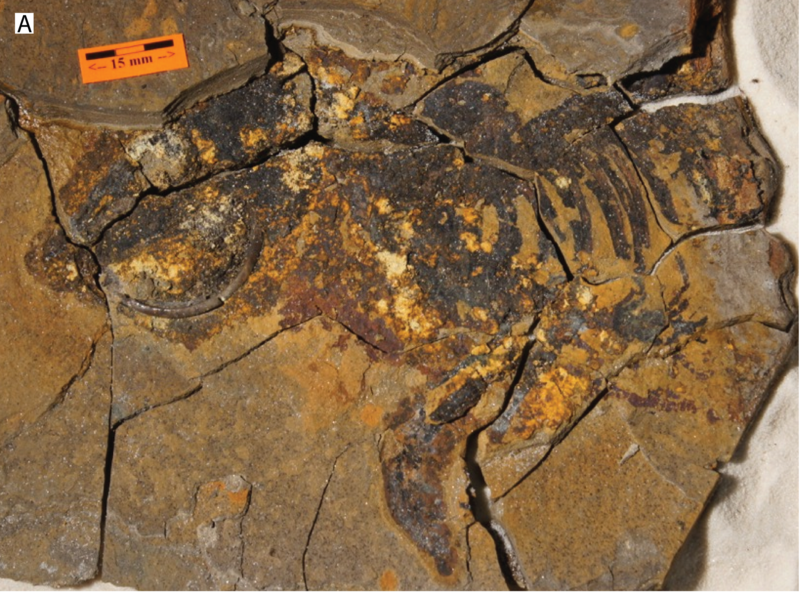 It's the first tetrapod, or four-legged animal, found in the fossil-rich area of the Clarkia lagerstätte also called the Latah Formation, a little less than two hours south of Coeur d'Alene. In a paper recently published in PeerJ, a science journal, researchers detail the find made when a handful of students were searching a portion of the area known for fish fossils with North Idaho College professor Bill Richards back in 2009. "It was sort of a happenstance discovery, you spend your hours there splitting the sediment, the rock, and trying to preserve what you find as best you can," Richards says by phone Tuesday. "This one chunk was sitting there, I grabbed it, split it open and there it was. That was pretty much a 'Wow' moment." Other plants and insects from 15 million to 16 million years ago are commonly found preserved in that same layer of ash, but this is the first four-legged mammal to be found. "Fossils from this site are extremely fragile and extremely hard to conserve," Richards says. "You have to wrap these up and put them in a climate controlled environment for, if not months, as I discovered with this sample, years. They're extremely moist and you need to dehydrate them without the clay and the sediment curling and cracking." With help from other researchers, including paleobiologist John Orcutt from Gonzaga University, the team identified the ancient squirrel largely because of an incisor that was preserved in the sample. "Usually the way we identify these things, everyone who studies mammal fossils, almost everything we do is based on teeth," Orcutt says by phone from Seattle on Tuesday, just after dropping the fossil off for future display in the Burke Museum. "It's most likely not too distantly related to the squirrels you see in parks everywhere."